The Mane Objective: When Your Favorite Blogger/Vlogger Says "Do You", Believe Her. When Your Favorite Blogger/Vlogger Says "Do You", Believe Her. This post originally started out as something completely different. 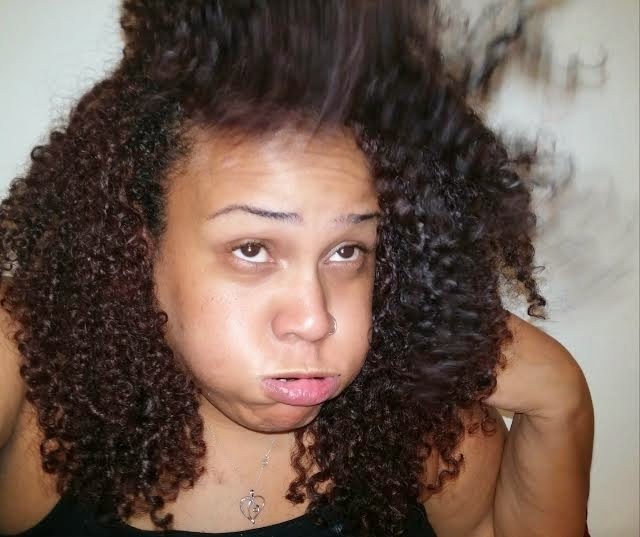 I was going to do a series of blogs and vlogs following regimens and tutorials from popular vloggers -- kinda like "Christina Patrice does Nap85's Twist Out" or "Christina Patrice does Hey Fan Hey's Wash Day". Sounds like a fun idea, right? Well, this week stopped me dead in my tracks. I planned to start my series with Mo Knows Hair's wash and go, using ApHogee Keratin & Green Tea Restructurizer Spray and Mixed Chicks Leave-In Conditioner, followed buy a silicone serum (I wasn't about to go out and waste my money on no darn Chi...#nottoday). 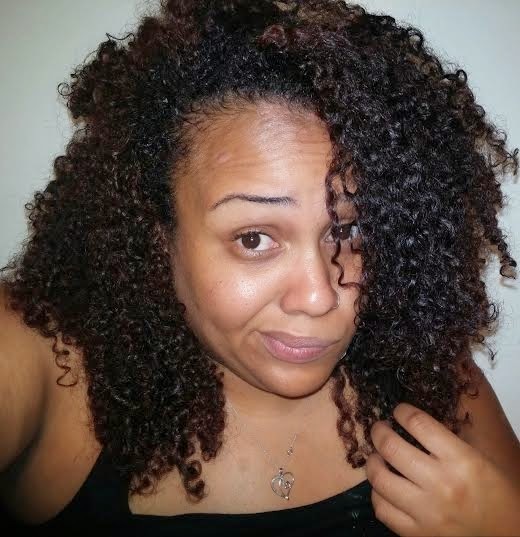 I watched her video, and followed the fairly straightforward instructions: shampoo, deep condition, apply product, air dry, diffuse, more product, diffuse some more, and finish it off. Now I'm sitting here with an emergency deep conditioning treatment going on under the hooded dryer. Let's just suffice it to say, the experiment was a total fail. Not because Mo Knows Hair doesn't know her stuff, but because at the end of the day she and I have two different heads of hair. I knew that going in -- but I didn't expect such as terrible end result. I thought I would get somewhere in the ballpark of a decent wash and go. I wasn't even close. Every single quality I thought the Mixed Chicks Leave-In would have, it didn't. I thought it would have slip -- negative. Just barely enough to get the product through the hair. I thought it would be moisturizing (that random yellow color reminds me of egg yolks, which in my mind I equate to cholesterol, which therefore equates to softness) -- it came up short. I thought it would at least abate some frizz -- more disappointment. Any hold and definition the Leave-In provided was outshone by the awkward shrunkenness and itchy scalp I experienced in the day following. There are only a few products I've encountered that have performed so poorly, that I never want to see them again. 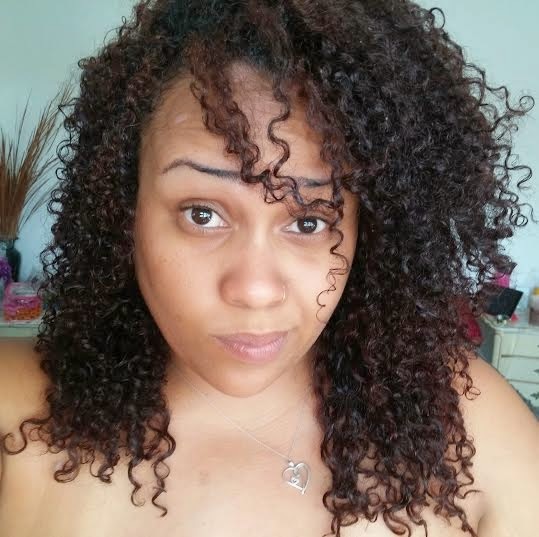 Mixed Chicks Leave-In Conditioner is now on that very short list. Here is me giving up all hope -- and failing miserably while doing it. My hair was so tangled in the aftermath, that I reached a point in one curl where there was NOTHING I could do to save it. It was so tangled, matted, wrapped in itself, and impossible to detangle that I had no choice but to cut it. No comb, brush, bobby pin, or amount of conditioner was working. Ugh. Don't act like you never tried to take a picture of you blowing up wisps of your hair in frustration, and snapped at the wrong time! Now that you're done laughing at me, let's rap for a second about expectations and reality when it comes to this natural hair thing. One of the things I love about the natural hair community is the diversity in representation. Underneath the umbrella of natural, there are all textures, types, thicknesses, lengths, patterns, and more. But with that diversity in hair types comes a diversity in opinions and experiences. What works for someone may not work for you, and vice versa. A product I rave about and give 5 stars, you may actually hate. You hating a product I love, or me failing to exactly replicate a vlogger's roller set doesn't make me or them disingenuous or ill-informed. It simply means that I am doing what works for me, they are doing what works for them, and you should do what works for you. 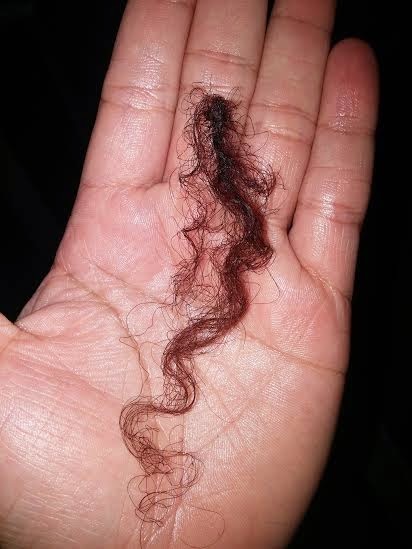 This is exactly why I don't believe in natural hair "gurus". Technically speaking, a guru is simply a recognized leader in a particular area. But we attach so much more meaning to our natural hair gurus -- we erroneously attribute them to being all-knowing, unquestionably absolute authorities on every single facet of natural hair. In reality, nobody holds that crown. I've learned and experienced a lot, and I share it here on the blog. If what I'm saying isn't based on experience alone, I've done my research to back it up. I respond to reader e-mails, questions on Facebook and Instagram, and help random ladies while I'm out and about at Target and Sally's. None of this makes me a guru. But does this stop me from sharing what I know? No. See, one thing about me that has ALWAYS been a personality trait of mine is that I like to help people -- and sometimes to a fault. I'm the person that will be on the set-up and clean-up crew, after everyone else's trifilin' behind has gone home. I'll take on a project by myself before I let it fall through the cracks. I say "yes" and "sure" more than I probably should. I don't say this to pat myself on the back or feel special. I'm just giving you all a little insight in to why I continue to blog. I love to help people, and if the information and experiences I'm having can be helpful, informative, or inspirational, there's absolutely no reason for me to hoard it to myself. At the end of the day, your favorite bloggers and YouTubers really are like a launching pad. Everything said or written is not gospel, it is a starting point for you to digest and make informed decisions. Just because the tutorial gave them flawless results doesn't mean you'll get them too. But maybe they're using a product you might want to consider. Or perhaps, the same method with different products will do you justice. Take what is presented to you, tweak it, and make it your own. Do you believe in natural hair gurus? Why or why not? Share in the comments! I totally get what you're saying. The information out there are to be used as guidelines and not commandments. That's why I have to force myself not to pick up every product a natural hair person raves about. #1 I have no job and I'm on a college budget; #2: I don't know how to return products. I feel some type of way trying to return it. Idk. How do you return products btw? I know it all depends on the return policy of the store. But lets say that the store has a pretty lenient policy on returns; how do you muster up the will power or the courage to hand back the item? Am I just being irrational about this? Don't you miss the Max Hydration Method? Yes and no. I LOVED the results, but I started missing the volume my hair got from not using MHM. But since I now have a trim with color, I don't think I can do MHM -- at least the baking soda part. Color makes your hair more porous, and baking soda would be counter-productive and make the color leach even faster. I may revisit a modified version, though! Girl, you better return that stuff!!! As long as I haven't used more than 1/4 of the bottle or jar, I'll return it. Typically, stores like Target and Ulta don't bat an eye. Sally's too. Most of the stores have to enter a reason at the register for why a customer is bringing something back, and "customer did not like" or "customer was dissatisfied" is a pre-programmed option. The way I see it is, stores have their established return policies for a reason. If I don't like a product, I refuse to let my money just go to waste if I can help it. Even getting store credit is better than taking an L.Trust me, you wouldn't be the only person in the store returning something opened. If it makes you feel better, exchange it for something else. I hear you completely - unless you have my type of hair on your head - you can't tell me nothing! I dropped some $$ on a Gilt City coupon for a trendy salon in Manhattan. I almost cried when they were finished - my hair felt as hard as a brillo pad - even their 'balm' couldn't scrunch the crunch out of that polyquarternium they baked on my hair. BTW - do yourself a favor and take a pass on the MHM friendly Alaffia Beautiful Curls Gel and Giovanni LA Curls gel. The former was too light, and the latter had PVP. I hear ya! As much as I love a good Deva Cut, their products don't do it for me. I like no-poo and that's about it. But their styling products just don't agree with my hair's way of life. Good look on the gels -- I was tempted to try LA Curls too!